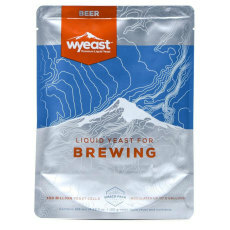 Each quarter, Wyeast has a special release of 3 yeast strains called their Private Collection. These strains are very unique and are only available while supplies last for that given quarter. Sometimes these strains will come back in future releases, and other times they will be gone forever! Check back here each quarter for the latest Private Collection yeasts, and make sure to order yours while they're available. A blend of saccharomyces and brettanomyces strains. Used to mimic beers from the Florenville area of Belgium. Produces complex spicy phenolic and light fruit flavors for excellent trappist-style ales! A strain of Brettanomyces that can produce tropical fruit aromas and flavors. A yeast blend that contains a German ale strain, Lactobacillus, and a unique Brettanomyces strain. Great choice for Lambics, Geuze, and Flanders Red Ale. A wonderful Private Collection blend for Brett saisons! A blend of a few saison strains and Brett. C.
Earthy and fruity, with Brett characteristics in a relatively short time! Well rounded and smooth textures are exhibited with a full bodied malty profile and mouthfeel.